AFC is currently the only con in the Central Coast, founded by Paula Angeles who is the marketing director and community outreach for Pacific Media Expo. So yes, AFC is pretty much a sister con of PMX, under the Pacific Media Association - pretty cool if you ask me. AFC had a relatively basic set up: a video room, panel room, video gaming area, and a larger room where the Dealer Hall/Artist Alley/Cosfest stage was. 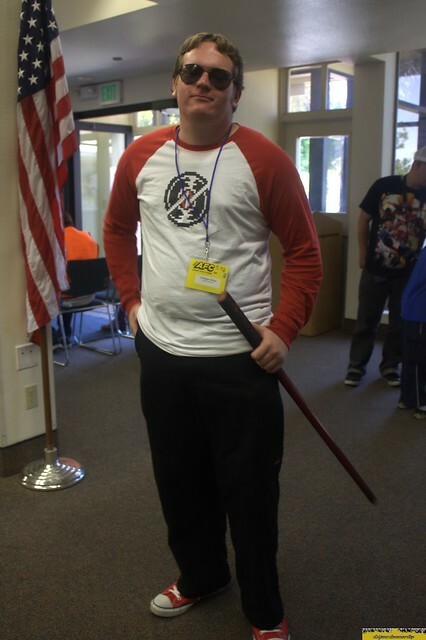 For these CenCal anime fans, this was all they needed to have a good time. Nothing flashy, just simple fun. It reminded me of why I enjoy small cons. 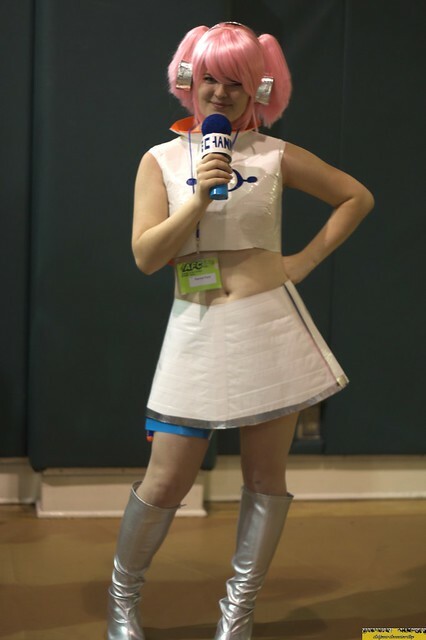 My time at AFC mostly consisted of taking pictures of cosplayers, conversing with a couple of Homestuck fans that were surprised and delighted that I recognized their cosplay, and attending a few panels. Among these panels was AFC's first VA GOH, Lauren Landa, most known for her role as Litchi Faye-Ling, from the BlazBlue video game series. In this mostly Q&A panel, Landa talked about her start on stage, how the voice acting world works, and recanted stories about her funny moments with fellow VA's at cons. When asked what her most current VA projects were, Landa answered that her latest work was for a very big video game slated to release next year, but that was the only information she was allowed to give at the time. Until then, we can surely speculate! The next panel I attended was that of second time AFC GOH, Irene Flores, a local manga illustrator who became more known after being picked up and published by Tokyopop. 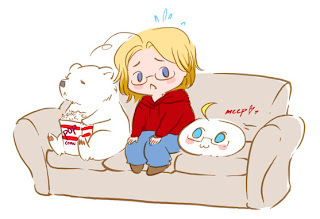 In this panel, Flores, faced away from the attendees while drawing a rough sketch of America and Canada from Hetalia on her tablet, took Q&A. Flores talked about her artistic process, how she got her start at Tokyopop and what she's also done for Impact Comics, and most notably, DC and Marvel. 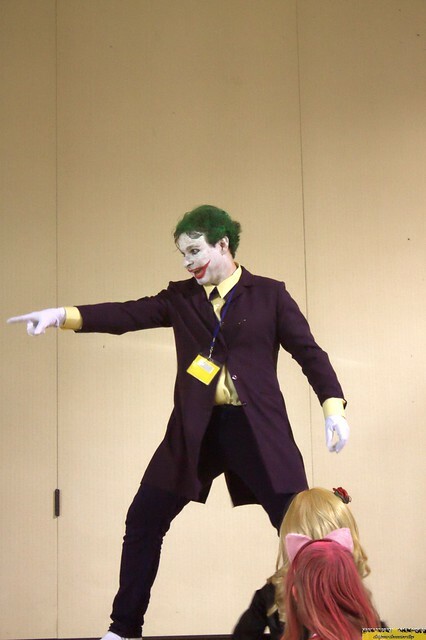 After the panels were all said and done, it was time for Cosfest. This would probably be the shortest masquerade I've ever attended, but there were some very nice cosplays entered in the contest. 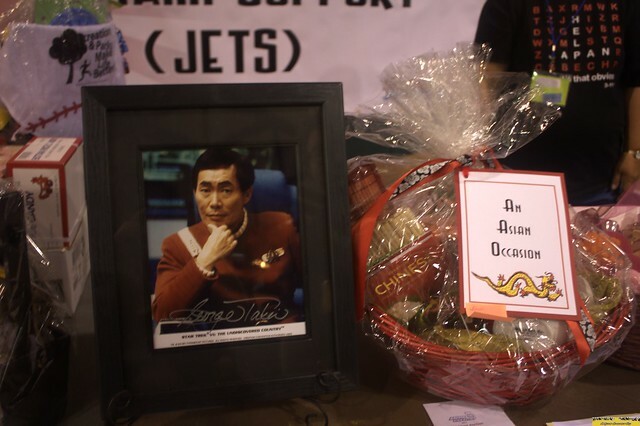 Once Cosfest was over, the last-minute bidding war for an autographed photo of George Takei, among other prizes, took place during the silent charity auction whose proceeds went towards the Japan earthquake and tsunami relief headed by JETS (Japan Earthquake & Tsunami Support). The George Takei photo was won for almost $200. At this point, my friend and I were getting some serious hunger pains, so we joined our friends from Otaku no Podcast for sushi and bid farewell to AFC. I had been a while since I've gone to a small con, and AFC is as small as they come. 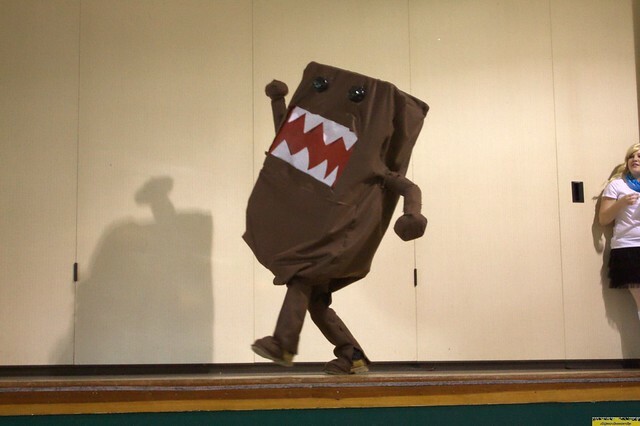 However, what they lacked in floor space and programming, they certainly made up for in good-hearted fun among fans. Any flaws I found could easily be excused by the fact that this is only AFC's second year, and it's to be expected of a con that's just starting out, especially given the location. I had to give them props for doing their best to replace AniMaid Cafe, who couldn't make it this year, with their own idol group in such a short amount of time. All in all, I would love to come back to AFC next year. I wish this con the best of luck for future years and eagerly await seeing how they continue to grow as con. View more pictures from AFC on our flickr.